But despite the stance Brussels wants to foster, Italy -- where euroskeptics share power -- prepared to receive Chinese President Xi Jinping for a visit during which he was expected to sign major bilateral trade deals with Rome. 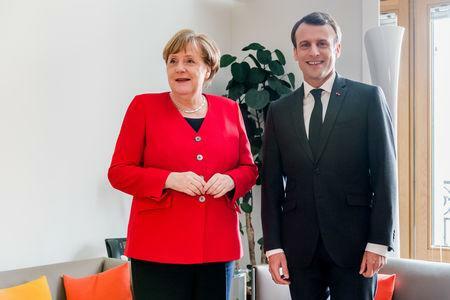 "Since the beginning of my mandate I've been calling for a real awareness and for the defense of European sovereignty," Macron told reporters as he arrived for the summit. "I'd say that finally we have it for an issue as important as China." With China's Xi starting a tour of France and Italy, EU leaders -- who have often been divided over China -- want to present a united front ahead of an EU-China summit on April 9. 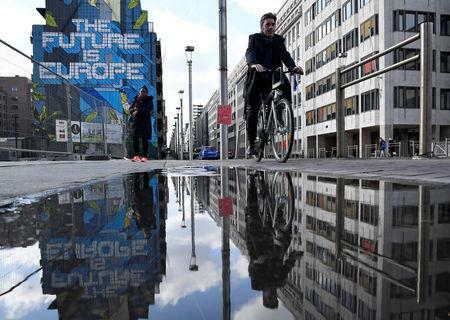 U.S. President Donald Trump's campaign to warn against Huawei telecommunications equipment in next-generation wireless networks has also accelerated EU discussions about its position, although the bloc is keen to avoid protectionist measures. Malmstrom said Europe often agreed with the United States on what problems were, but not always on the cure -- including U.S. tariffs on EU imports and Washington's trade war with Beijing.